A new study from Finland suggests that low vitamin D levels in childhood and adolescence can predict atherosclerosis, or hardening of the arteries, in adulthood. 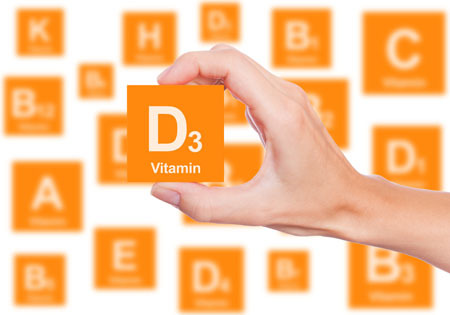 The study, by Markus Juonala and colleagues in the Journal of Clinical Endocrinology & Metabolism, included 2,148 people whose vitamin D levels were measured at ages 3–18. They were checked for atherosclerosis at ages 30–45. Those participants with the lowest levels of vitamin D in their youth were at much higher risk for thickened arteries as adults. The finding was independent of other cardiovascular risk factors such as smoking, high blood pressure, poor eating, lack of exercise, and obesity. Editor’s Note: While it is not yet clear if low vitamin D levels directly cause the development of atherosclerosis, it is important to maintain sufficient vitamin D in childhood for a host of reasons, including strong bones. Children with sufficient vitamin D levels are more likely to have normal moods and behavior than those deficient in vitamin D.